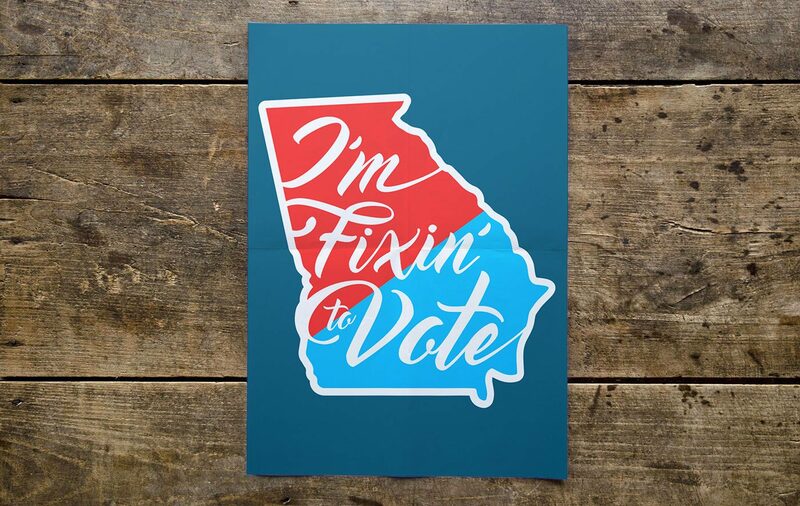 AIGA-Atlanta asked us to develop a non-partisan campaign to encourage young Georgians to “Get Out the Vote” on November 8th. With a limited budget, we developed a campaign refresh, giving the familiar “I voted” stickers a Southern twist. The modern look and local lingo on the materials handed out at voter registration and polling events around the state got people talking – and voting. The campaign was instantly Insta-worthy, and folks were happy to spread the word.